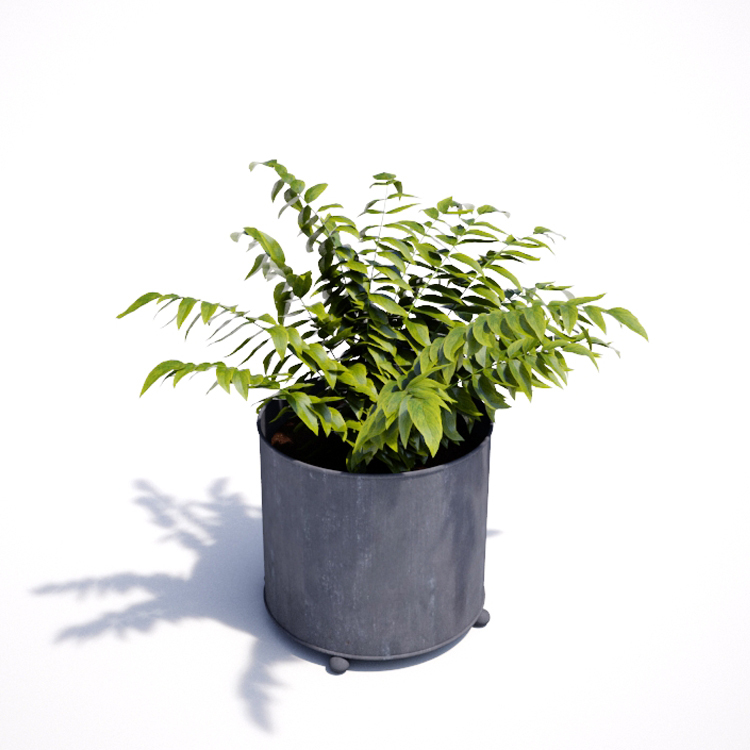 This round zinc galvanized planter is made by us in Bath from British steel. The garden planter is zinc galvanized for a highly durable, rust resistant finish. No self-assembly is required. Bespoke planters available. 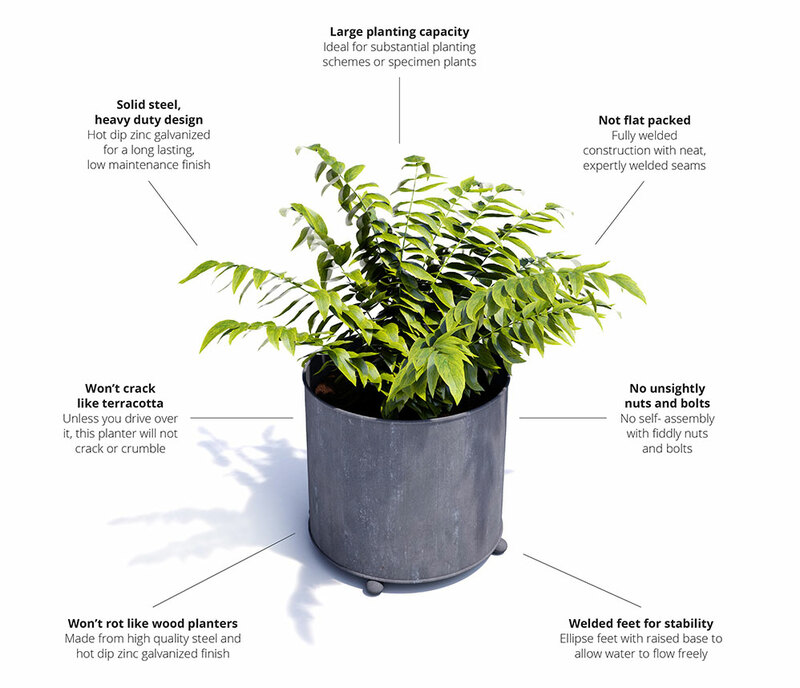 This solid steel planter is a fully welded product, with several holes around the perimeter base for effective water drainage. Four feet are welded to the bottom edge to provide stability. This garden planter is then hot dip zinc galvanized before being Aged to achieve a dark grey, weathered zinc patina, similar to lead. Any planter size can be made to measure. Living on an island, I knew that wooden planters wouldn’t last long. My six planters were a great find and they look fantastic, night or day wet or dry. I’m delighted with them.